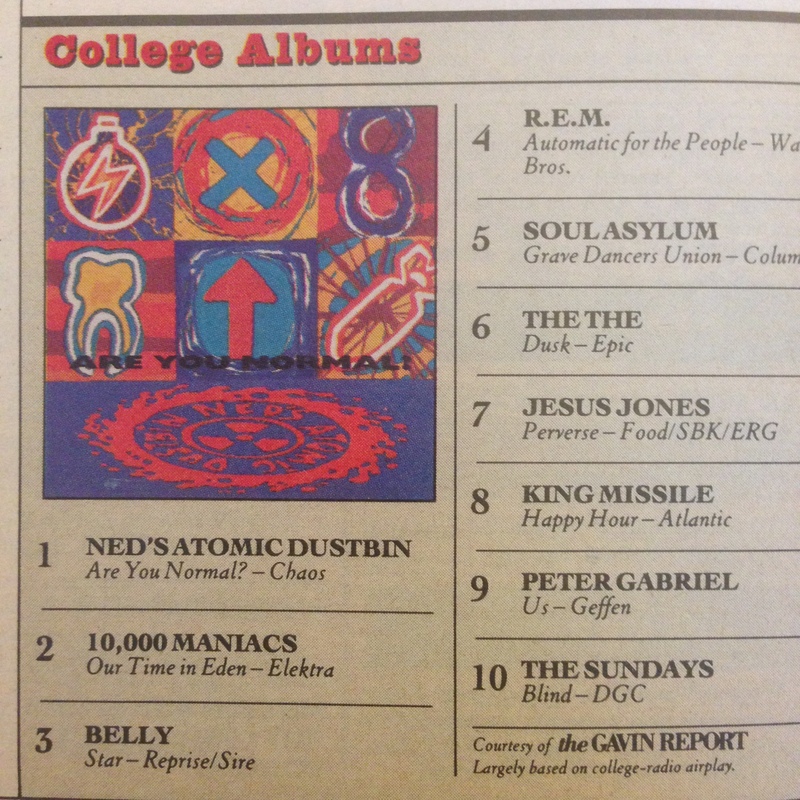 March 18th, 1993, is the date of this Rolling Stone. Theoretically, then, it arrived in my mailbox a few days after the Storm of the Century walloped the East Coast and just a few days before the start of spring. At the time, Diane and I lived in a quadplex at the end of a dead-end street that ran up against a thicket of trees – a perfect place for drifting snow to settle. That snowstorm aside, life was good. We owned a computer – a 286 that ran DOS – and accessed the pre-Internet via Prodigy, which featured bulletin boards, chat rooms, email to fellow users, and the news. 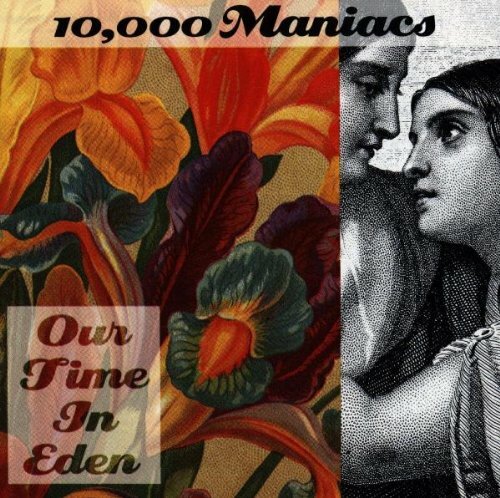 When I think back on that winter, though, the first thing that comes to mind isn’t the weather or Prodigy, but an album: Our Time in Eden by 10,000 Maniacs. 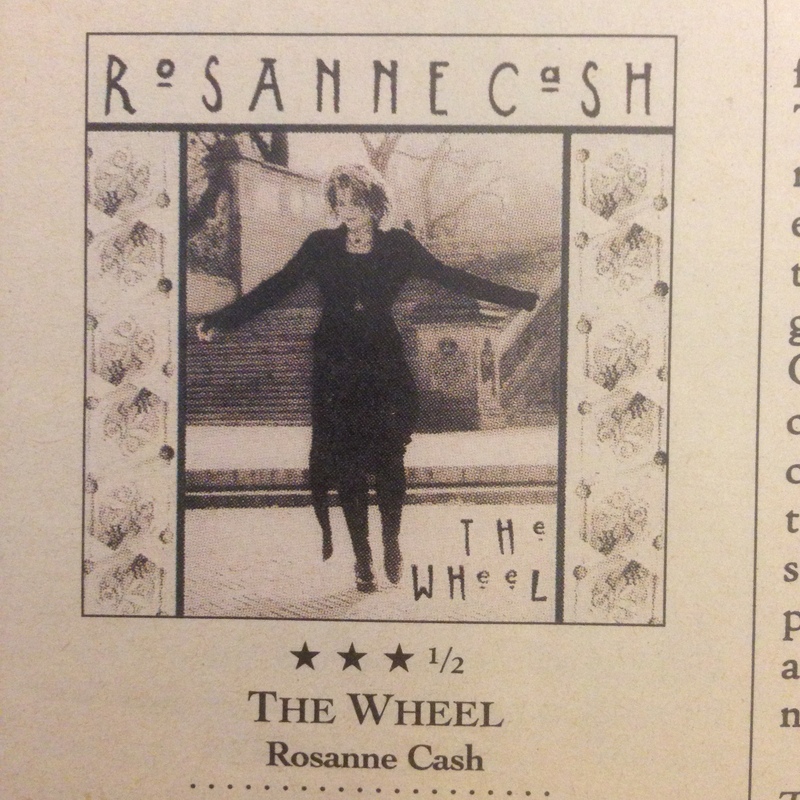 We saw them in September 1992, 12 days before its release, and…it just became one of “those” albums for me. I’d play it, and then I’d play it again. And again. And again, after that. 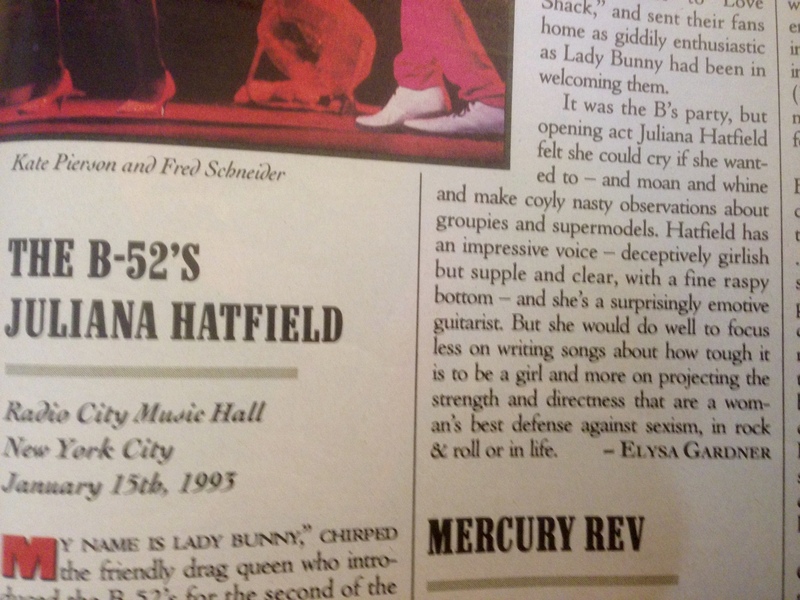 Anyway, the cover story by Kim France, a staff writer at Sassy magazine, turns out not to be as in-depth as it could have been – two pages and part of a third isn’t enough space for that – but it’s a worthwhile read, explaining the band’s rising popularity following the “critical and financial disappointment” of Blind Man’s Zoo (1989). 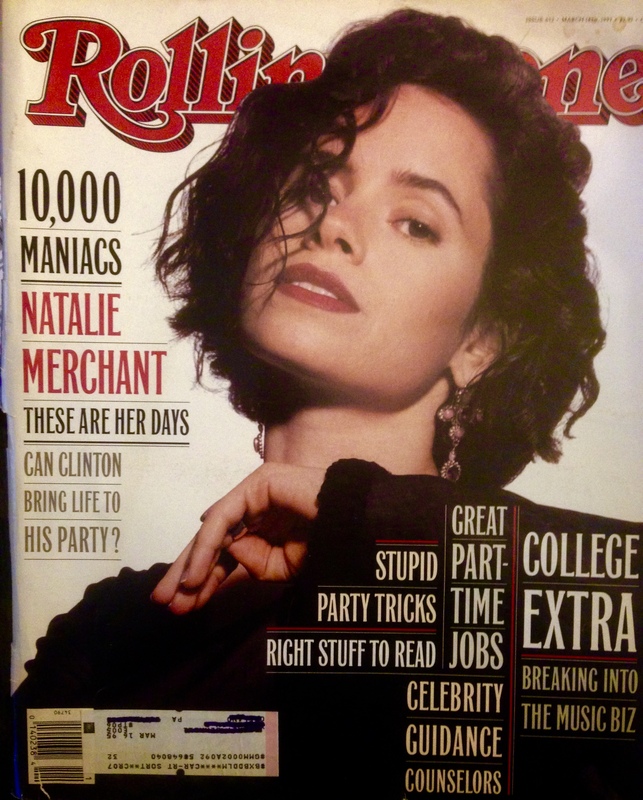 Natalie Merchant’s face graces the cover; and the shot inside features the entire band. 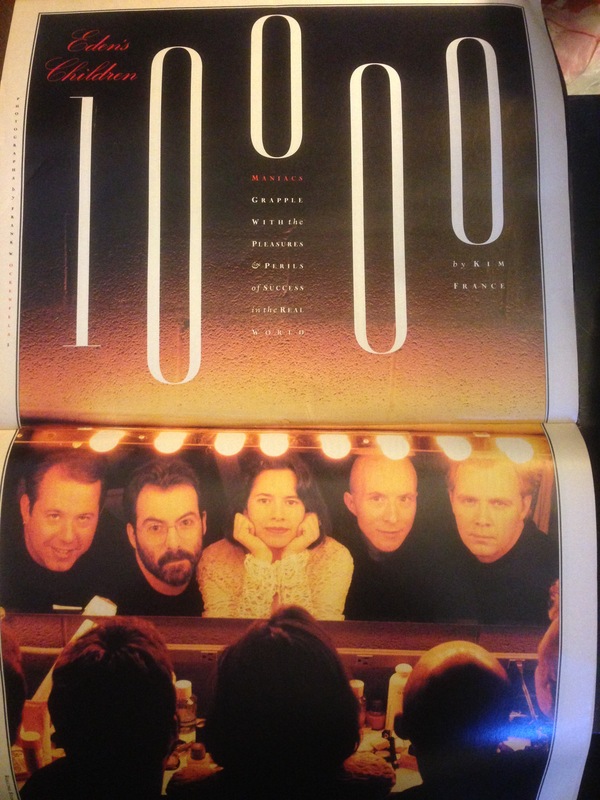 1) 10,000 Maniacs – “Noah’s Dove.” A lush, piano-driven song with lyrics about a fallen angel from the perspective of someone still behind the gates: not a typical opening track. Yet, it sets the mood (and theme) for Our Time in Eden as a whole, and does so in a narcotic-like manner. This is Juliana’s setlist from that night: Supermodel/My Sister/Lost and Saved/I See You/Tamara/Here Comes the Pain/Rider/President Garfield/Ugly/Everybody Loves Me but You/Nirvana/I Got No idols. 4) Belly – “Feed the Tree.” A great song from the short-lived, Boston-based band. Tanya Donelly, formerly of the Breeders and Throwing Muses (who I saw open for R.E.M. in 1989), founded the group with some childhood pals, wrote most of the songs, played guitar and sang lead. Star, their debut album, was more than just solid – it was a delight. 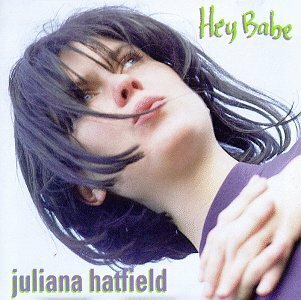 In addition to this super-catchy tune, it features the rocking “Dusted,” sweet “Gepetto” and dazzling title track; and plays well from start to finish. It was a hit with the modern-rock crowd; and was one of my favorites of the year. 5) Willie Nelson – “American Tune.” In the Random Notes section, there’s this: “Legendary singer-songwriter/IRS punching bag Willie Nelson has recruited a calvacade of music-industry heavyweights – including Sinead O’Connor, Bonnie Raitt, Don Was, Paul Simon and Bob Dylan, with whom he collaborated via fax – for his upcoming album, Across the Borderline.